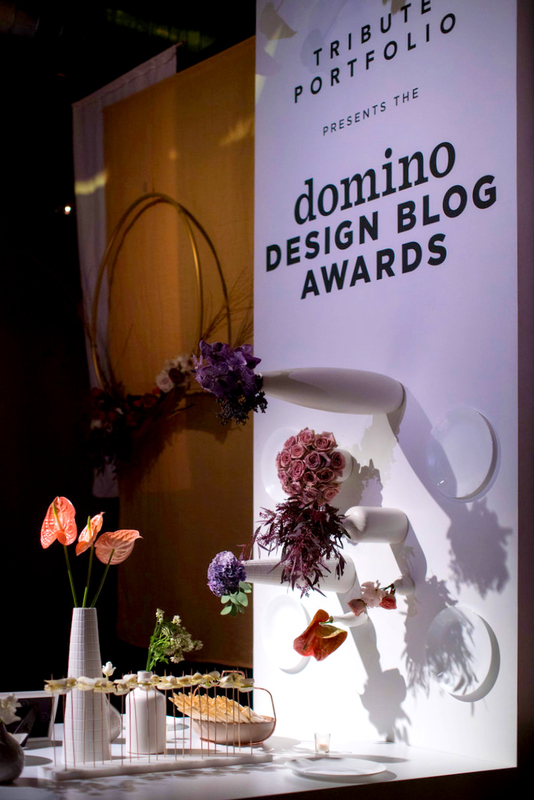 To celebrate the inaugural Domino Blogger Awards, The Gathery brokered a partnership between two like-minded clients who share an interest for independent design. 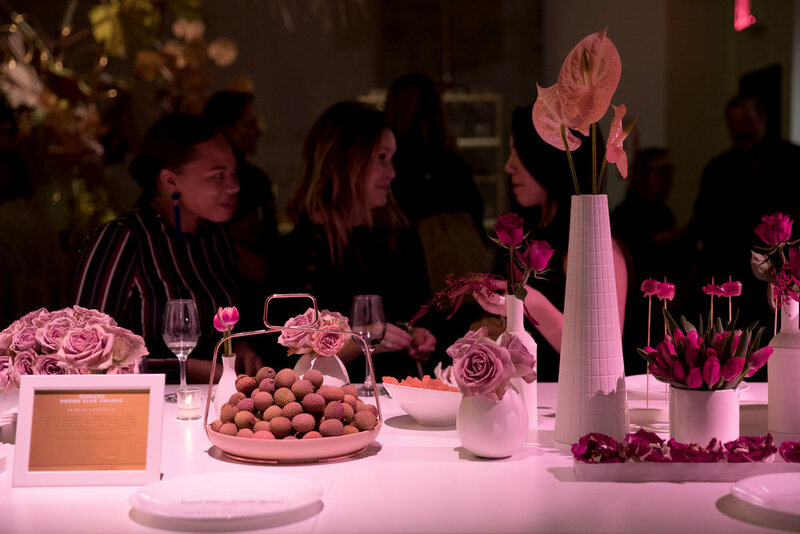 To commemorate the collaboration between the celebrated magazine and Tribute Portfolio Hotels, we produced an unconventional cocktail experience that reinvented the holiday tablescape into an installation of color and flavors. A massive banquet table ran the length of the venue running along the wall and onto the ceiling where suspended table top décor and florals completed the surprising design. 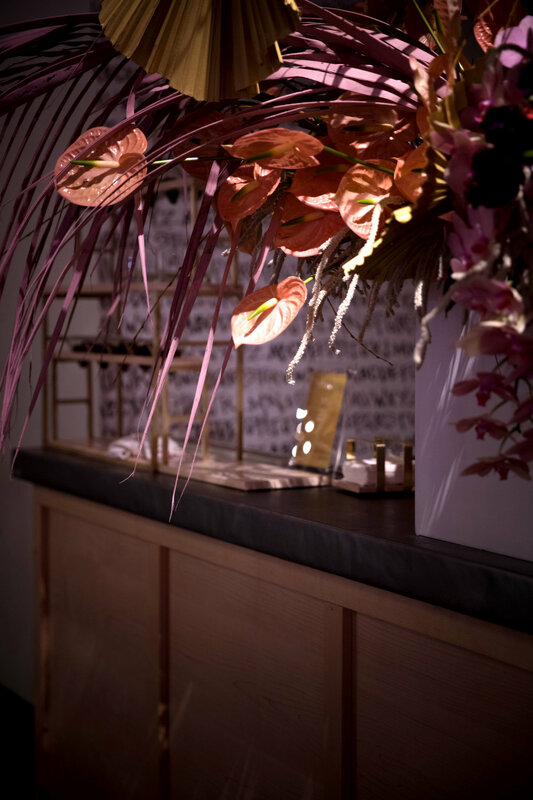 Surrounding the central sculpture were custom bar interactions by Pinch Food Design serving delectable Hibiscus cocktails and bites, while hanging modernist wreaths flanked the main table. The evening culminated with the announcement of the eight winners who will now travel to a Tribute Hotels destination of their choice and share their experience through their high-valued social channels.